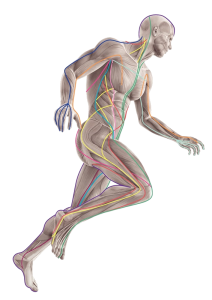 Your body is an incredible structure all beautifully woven together and bound by an electrically charged collagenous tissue known as fascia also known as connective tissue. This life giving tensional fabric plays a vital role in giving your body shape and form hopefully leading to good alignment and postural health and wellbeing. 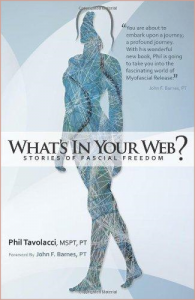 Below is a short Video by Tom Myers from www.anatomytrains.co.uk explaining the vital role of fascia and tensegrity. How does KMI Myofascial Integration work and who can benefit from it? Structural Bodywork and KMI Myofascial Integration is for everyone especially sports professionals, desk workers and anyone suffering from chronic pain and tension. This very powerful form of manual therapy is great for treating sports injury as well as resolving deep myofascial / muscular tension as well as greatly improving joint and soft-tissue mobility issues in the neck and shoulder girdle. This manual therapy that can be blended with massage can also be used to help unburden people from long standing historical deep emotional pain stored within their tissue memory for people that have suffered from trauma, surgery, emotional disturbances, depression and anxiety. This powerful form of manual therapy owes its origins to the late chiropractor, osteopath and biochemist; Ida P Rolf (pictured below) who designed Rolfing. 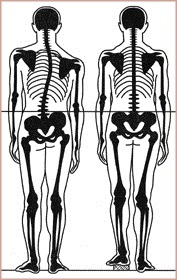 There are many forms of manual therapy working with the connective tissue; I offer a mix of rolfing and structural Integrative therapy which can also be known as direct and indirect myofascial release. This form of very relaxing soft-tissue hands on therapy uses Tomas Myers Anatomy Trains as a coherent road-map to the body (pictured below). Trying to give a description of how the treatment feels I would say that it is very similar to osteopathic soft tissue work without the cavitation (joint gapping), combined with elements of physical therapy and orthopedic massage. The treatment can be carried out in a single session over one hour or ninety minutes or for far better results you may consider investing your time into a very rewarding sequence of sessions that should be carried out every two weeks until the whole body has been fully structurally balanced and integrated. The end result having an extremely positive outcome with your health and wellbeing. So what are some of the benefits of creating far greater structural balance?